The safety of everyone who comes in to see us is our top priority. We aim to make sure every car leaves in better condition than it came in, to get you from point A to point B as safely as possible. Our certified technicians work hard to accurately and efficiently diagnose each vehicle to make sure it is running optimally for miles to come. Lang Nissan at Mission Bay is happy to offer complimentary multi-point inspections. This important, visual inspection allows our team to take a look at the overall safety and driveability components of your vehicle – is available with every service. By having our certified technicians take a deeper look at your vehicle, we are able to catch any car maintenance issues before they become a larger problem than necessary. This multi-point inspection acts as a prevention to save you time and money in the long run. Our team has proprietary information that other car garages do not have access to. What does that mean for you? 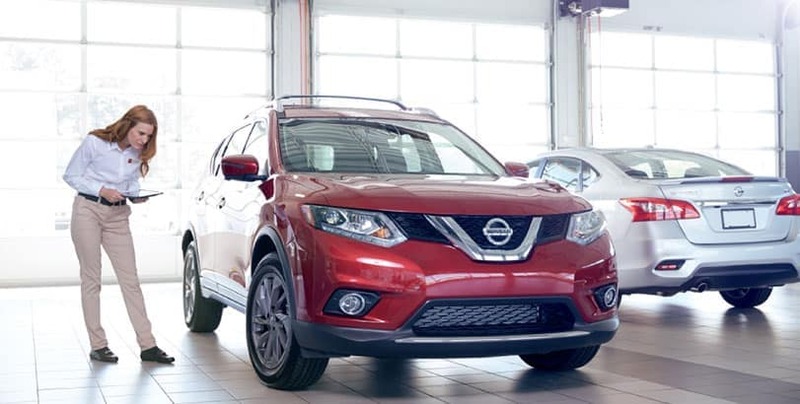 We catch issues in their tracks and repair them using only genuine OEM Nissan parts that will extend the life of your Nissan, increase its value and restore it back to its original factory condition. Drivers in the San Diego area preferLang Nissan at Mission Bay for a variety of reasons. Not only for this multi-point inspection, but also because of our highly knowledgeable staff, comfortable customer waiting area and access to rental cars when services or repairs take longer than initially predicted.